With another year behind us, it’s time to turn our attention to creating better businesses this year. The usual marketing strategies like SEO, social media and conversion rate optimisation will continue to be important, of course. But, for the first time since mobile rocked the web – all the way back in 2007 – marketers will have to come to terms with an entirely different landscape this year. Here are the marketing strategies that will matter most this year. We’ve been talking about big data for years but the truth is it’s done nothing for your typical business. Sure, the likes of Google and IBM are killing it with big data. But who wouldn’t with all the server, processing and financial power those tech giants are rocking? Well, this year big data finally becomes a viable marketing strategy for businesses and marketing teams of all size. Thanks to machine learning and automation, you’re no longer limited by the amount of data you can process or the insights you can extract. In fact, the challenge for smaller businesses in 2019 (aside from getting to grips with machine learning) will be getting their hands on enough data. Machine learning is the first practical gift artificial intelligence has given – and it’s going to change the way you do everything in marketing. Machine learning process large volumes of data, spots patterns in different datasets and then makes predictions based on its findings. That last part is extremely important. These are algorithms capable of predicting consumer behaviour based on almost limitless amounts of data. The key difference in 2019 is that machine learning is now accessible to everyone. 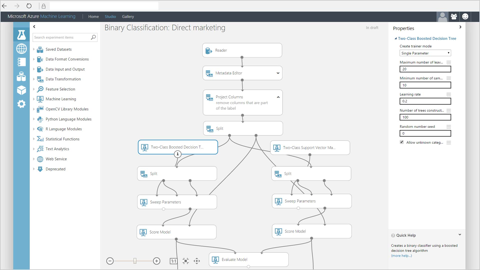 With drag-and-drop tools like Microsoft’s Azure, anyone can build machine learning algorithms without writing a single line of code. Personalisation is something else we’ve been talking about for a while now, but it’s never really taken off. The reason is we haven’t really had the technology available to make personalisation work effectively. All the technology you need to create fully personalised experiences for users is there. The only problem now is that we have the General Data Protection Regulation (GDPR) coming into effect on May 25 and this could make it harder to collect the personal information you need to personalise the consumer journey across different devices/sessions. The key word in that last paragraph is “could”. We don’t yet know how internet users are going to react to GDPR and the changes they force businesses to make. And, even if the most pessimistic predictions come true, brands will still want to personalise individual user sessions as much as possible – as we’re already seeing with chatbots. GDPR is all about protecting user data and making the process of using it more transparent. Personally, I’ve got no problem with this whatsoever and think we’ll adapt perfectly well to whatever impact we see after May 25. At the very least, every business will need to get more serious about data transparency and protection. You’ll have to get permission from people before collecting any personal info, make it absolutely clear what you plan to do with it and delete everything at their request. Not to mention a bunch of other regulations you’ll need to follow if you want to use data from people in the EU and UK. From your email signups to your cross-device lead nurturing, everything you do with data will be different in 2019. With GDPR potentially making personal data more difficult to obtain, marketers will need to explore alternative targeting options. And top of the list right now is contextual targeting, which doesn’t rely on user data at all. Instead, contextual targeting focuses on individual user sessions and the content people engage with. A simple example of contextual targeting is putting display ads on sites that your target audience uses. For example, insurance companies know that anyone who buys a new car needs to rethink their insurance situation and placing ads on car retailer websites makes a lot of sense. With the industry focusing on personal data for the last decade, contextual targeting hasn’t really developed too much. If advertisers find GDPR too restricting, though, this could put more emphasis back on contextual targeting. Machine learning will certainly help us get more sophisticated insights and predictive modelling from individual user sessions as well. Brands will still try to get consent from users to use their personal data, of course, but contextual targeting seems like the obvious choice to fill any void left by GDPR after May 25. There’s been a lot of emphasis on targeting Millennials over the last decade but Generation z is now coming of age. Born between 1998 and 2016, the oldest Post-Millennials are now graduating university and gearing up to make adult (and some not-so-adult) buying decisions. Which makes 2019 the year to start putting more focus on the next generation of consumers. it’s not a simple case of targeting a younger age bracket either. This is the first generation to be born into a connected world where the internet has been an ever-present part of their lives. They’re more tech-savvy, less brand-conscious and even more cynical than their Millennial predecessors. Brands need to adapt their marketing strategies to cater for the rising Generation Z and the Millennials who approach middle age. I kind of want to kick myself for putting something so obvious in this article but, according to research from SmartInsights, marketers still place content marketing as the single most important strategy for 2019 – above big data, machine learning and everything else. Of course, you can’t really have marketing without content so this doesn’t come as a massive surprise. It might be an obvious choice but I pretty much had to include it. It’s done now; let’s move on. 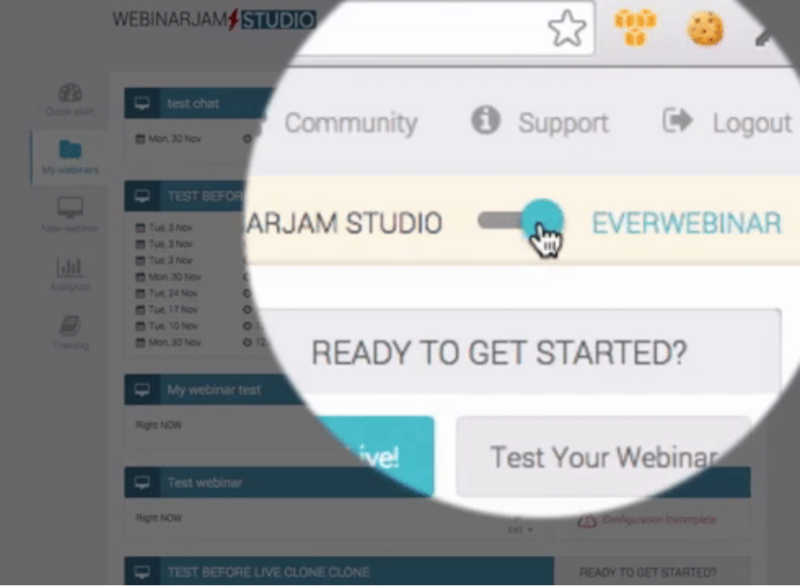 Everwebinar simulates the live streaming experience by automating your webinar marketing strategy. Social media has propelled the phenomenon of live video marketing in recent years. Facebook, Instagram, YouTube and Twitter all support live video streaming and Periscope has become a vital platform for journalists, gamers and a range of different audience types. According to Cisco’s Visual Networking Index report for 2016, Streaming video accounts for over two-thirds of all internet traffic, and this share is expected to jump to 82% by 2020. Consumer brands are leading the innovations in live streaming right now but B2B brands can achieve more with live webinars or automated webinar marketing strategies in 2019. With devices like Google Home and Amazon Echo in houses across the country, the age of conversation UI is already here. This trend will continue to develop throughout 2019 as the technology improves and people become more comfortable with talking to the devices in their lives. This changes the way we need to design every interface – from the on-site search functions on your site to the way you mark up your page content to make them accessible for voice-orientated platforms. With the risk of GDPR making personal data more difficult to get, marketers will need to do more with the data they do have in 2019. Forcing users along predefined sales funnels is already starting to look dated and machine learning makes bigger things possible at the perfect moment. Once people give you consent to use their data, you can create dynamic sales funnels that adapt to their previous actions. So, rather than users who hit a roadblock along one of your sales paths dropping off, your funnel can adapt to deliver the content most likely to keep users moving in the right direction. For some users, this might be a series of product reviews while others might be more tempted by a special offer. With a more dynamic approach to funnel marketing, machine learning will help you deliver the most convincing content at each stage of the sales process. The key marketing innovations in 2019 are all going to revolve around data. Machine learning means we’re able to do insanely complex things with the data we have on board while GDPR could make that data more difficult to collect. The marketers that make it big this year will be the ones that convince users to hand over their personal details and know how to turn it into machine learning magic.